The Italian company will debut its fastest hypercar on October 24 in Italy as its development testing continues at various European circuits. More than a decade ago, a German company that specialized in manufacturing supercars was set up by former Audi engineer Roland Gumpert. Roland set up Gumpert Apollo and promised to make some of the fastest supercars in the world. Although, the company was shut down in 2012, it is making a comeback into the field with a new name and new product. Welcome Apollo Automobil and its latest hypercar, the Apollo Intensa Emozione or popularly known as Apollo IE hypercar. The Italian company will debut its fastest hypercar on October 24 in Italy as its development testing continues at various European circuits. 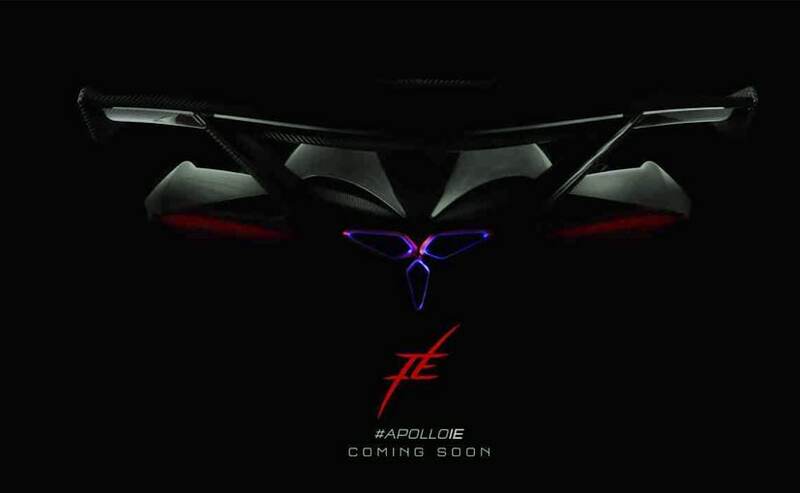 Apollo Automobil has also released a video teaser of the new Apollo IE hypercar. Created from a blank sheet of paper and built around an all-new bespoke, the Apollo IE hypercar is lightweight and is built around full carbon fibre chassis. Apollo Automobil has collaborated with Manifattura Automobili Torino (MAT) to produce the exclusive range of Apollo IE. To maintain exclusivity, Apollo has planned to build one sole batch of 10 units of the Apollo IE with first deliveries to start in early 2018. Those who order the Apollo IE will be granted exclusive access to the Time Attack program that will be run by Apollo on the most relevant European racing circuits, and will also gain priority rights to order the road legal sibling of the Apollo IE, who is scheduled to see the light at the end of 2018. It is said that the new Apollo IE hypercar takes cues from Aston Martin Valkyrie and Mercedes-AMG's Project One. Powered by a normally aspirated V12, details of the Apollo IE's technical specifications will be revealed on its debut. However, it is possible that the new Apollo IE will feature the same engine that is at the heart of Apollo's Arrow concept that was showcased at the 2016 Geneva Motor Show. If that is the case, then the new Apollo IE with its 4.0-litre twin-turbo engine will be able to produce close to 1000 bhp and 1000 Nm. Reports suggest that the IE can touch a max speed of 360 kmph.